All estimates are provided completely free of any charge, and you are under no obligation to have any work carried out. 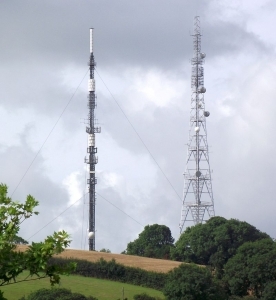 We have fitted hundreds of TV aerials in and around Devon over the years, we know the area inside out. We have lots of experience of caravan park and hotel systems. We understand the importance of TV to your customers, we will prioritise your jobs. 4G rural internet, even with poor phone signal. Slow Internet? We can supply and install superfast, 4G broadband in most locations, even if you have poor mobile phone reception. With speeds of up to 100Mbs. Having issues with WiFi signals in your home or business? We can help! We supply and install HD CCTV systems to suit all budgets. From one to 100 camera systems. Contact us for a free quote today. We repair Freeview aerial systems, hotel I.R.S systems, communal systems and caravan Parks. We cover Dartmouth, Kingsbridge, Totnes, Salcombe, South Hams, Modury, Brixham, Paignton, Newton Abbot, Bovey Tracey, Ashburton, Buckfastleigh, Dartmoor and Plymouth.